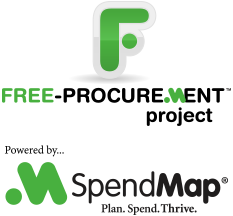 We love helping people who are using the Free Version of SpendMap. Feel free to log a Support Ticket if there’s anything we can do for you. But for those who prefer to go it alone, in v14.5 of SpendMap we enhanced the system’s Error Management Console to provide better information in the unlikely event that something goes wrong while using SpendMap. In previous versions, if something went wrong, SpendMap would save all the details to an Error Report and then you had to log a support ticket. But we’ve found that most errors are for obvious reasons (e.g. a power failure, getting disconnected from the network/server, etc.) and are not actually a problem in SpendMap itself. So, if you happen to see an error, please review the on-screen information in the new Error Management Console. In many (most) cases, you can clear the error and get right back to work. And for those times that you’re just not sure, just click the [Send to SpendMap] button and our Knights in Shining Armor will jump right in to help.